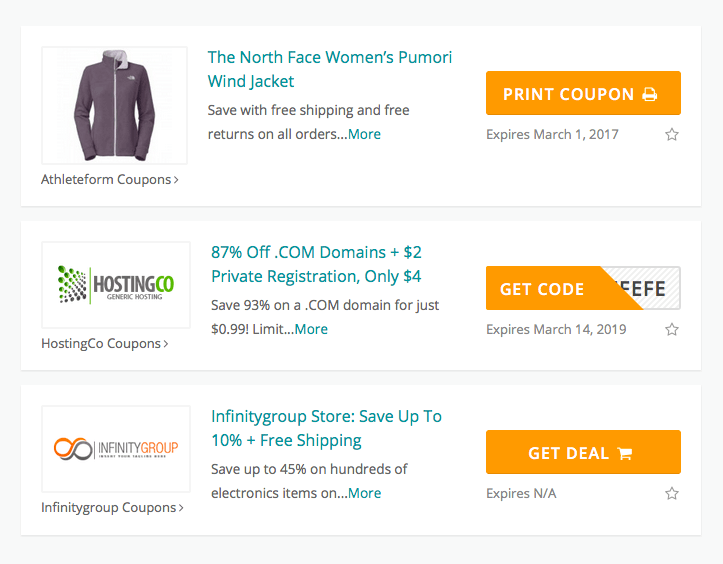 The theme provides everything you need to build an affiliate coupon code websites that allow visitors to browse coupons and deals provided by third party stores. You would then earn money from the referral or sales made. 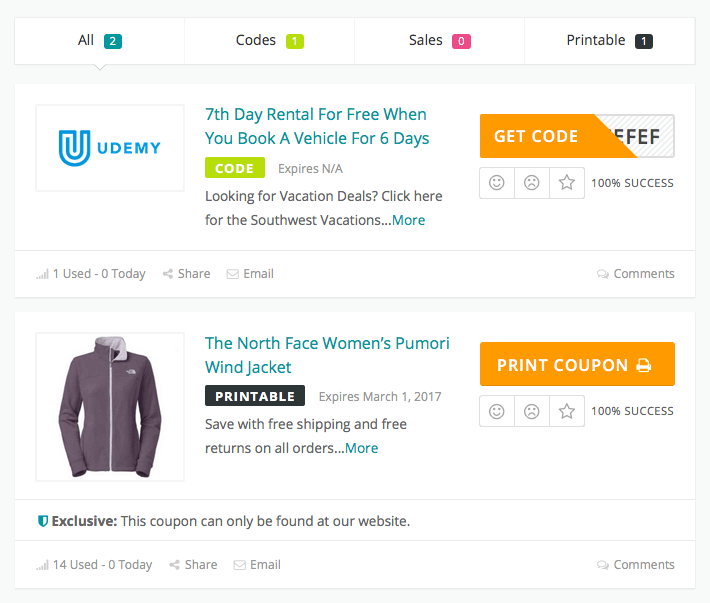 Let your visitors load more coupons without reload the page for better experience. 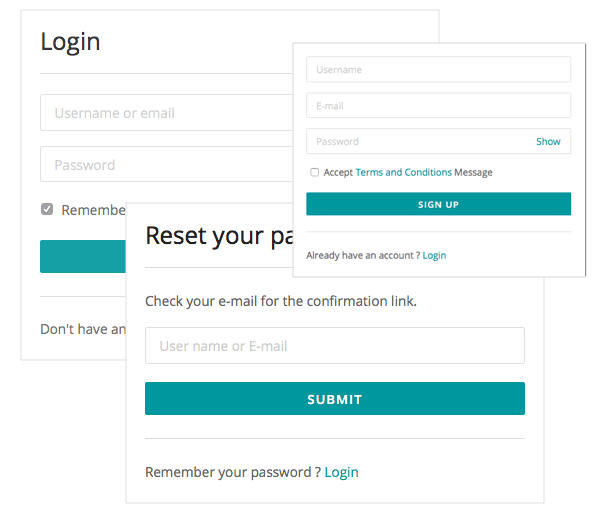 Boost your user experience by providing a user friendly Ajax powered search form. 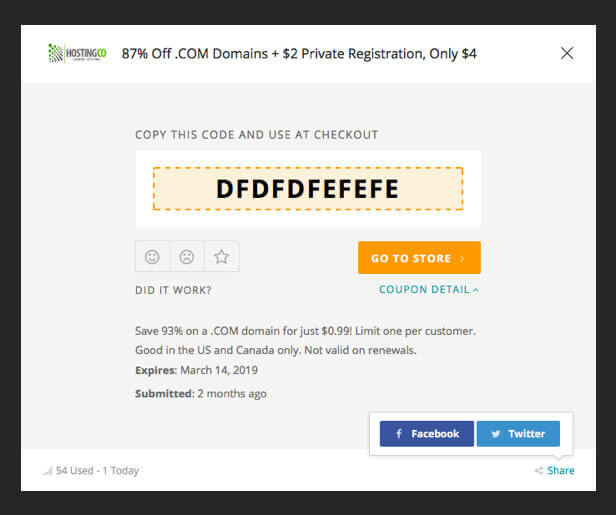 WP Coupon theme lets you customize the way coupons are viewed with built-in auto redirect to store affiliate URL in previous tab and open coupon modal. 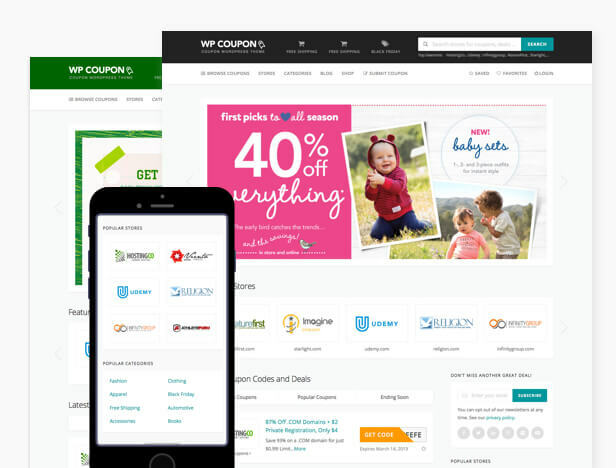 Our coupon theme supports the three main affiliate coupon code types which are online coupon codes, website offers and offline printable coupon codes. 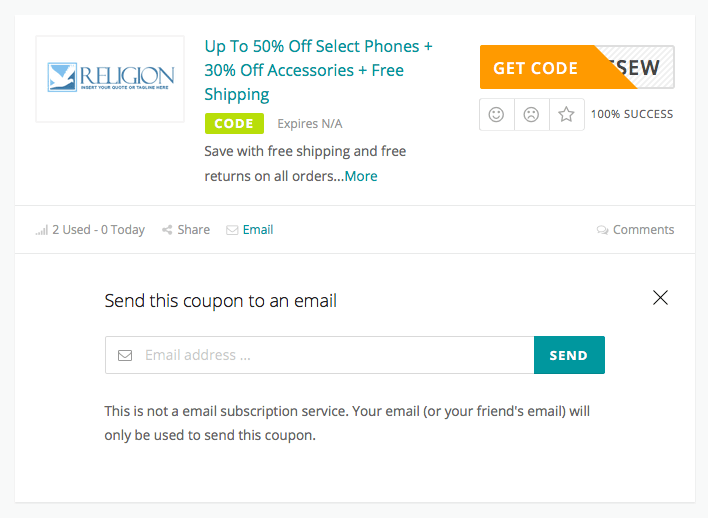 Share coupon via social media or email. Ajax comments, without reload the page. 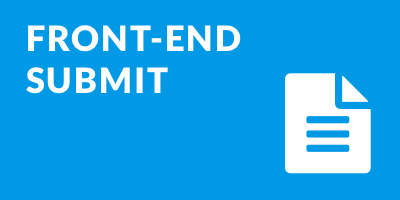 We understand how important SEO is for your coupon site. 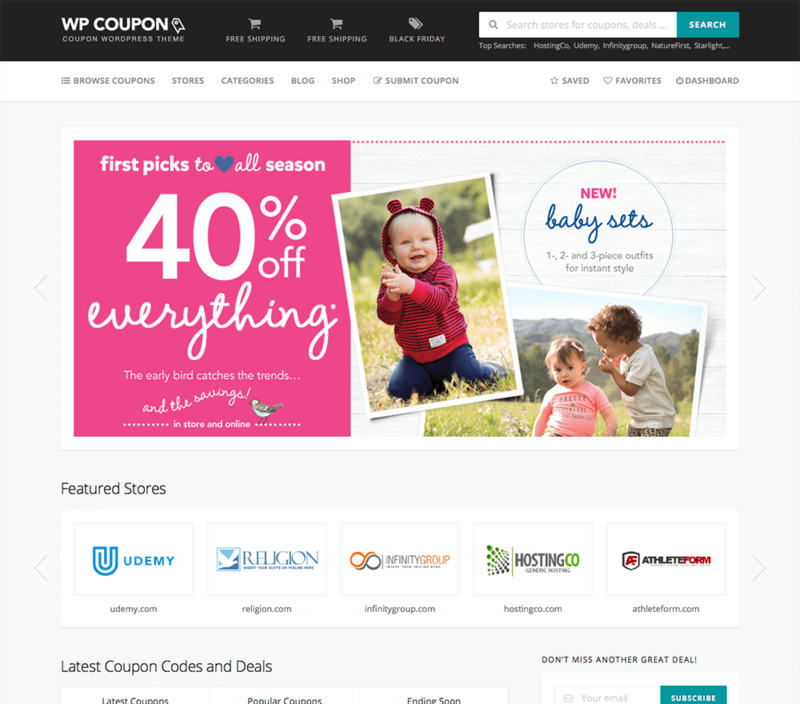 Coupon WP are built to instantly take advantage of SEO best practices. All you need to worry about is running your business. 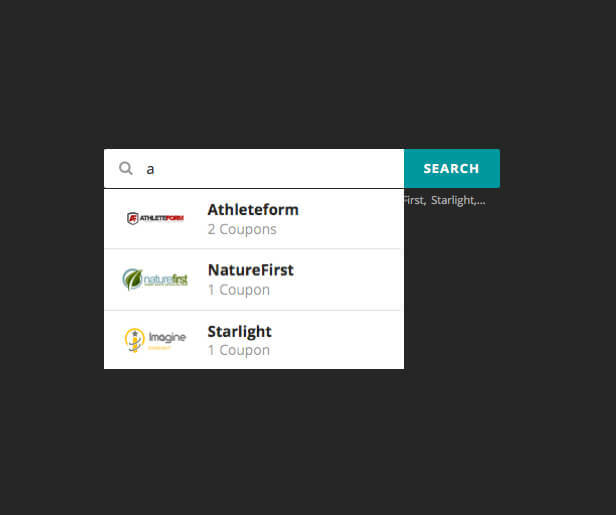 Let your visitors subscribe to your mailing list using the built in theme widgets and email members regarding new coupons and offers. 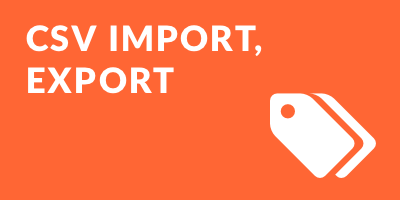 With Coupon WP demo data importer plugin, you’ll be set up and ready to customize your site in minutes. 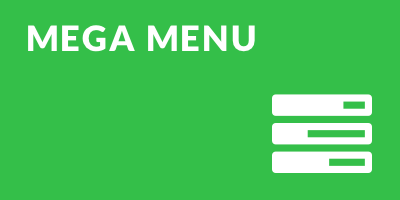 The theme is created with best translation practices in mind and already contains language .pot file for easier translation. 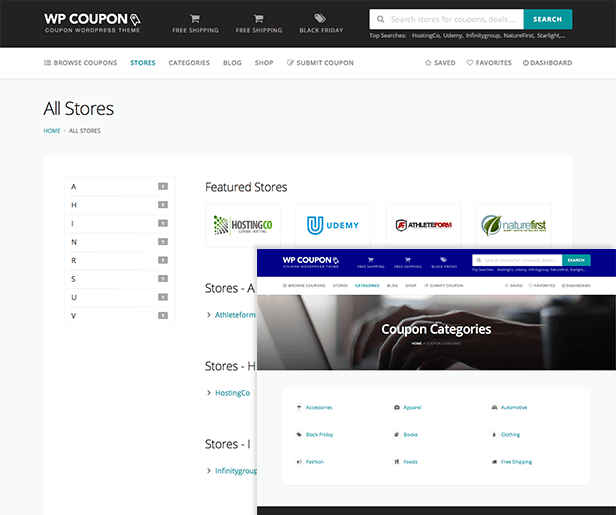 A single theme package, access to single Coupon WP theme.